superfoods, plural 1. A nutrient-rich food considered to be especially beneficial for health and well-being. 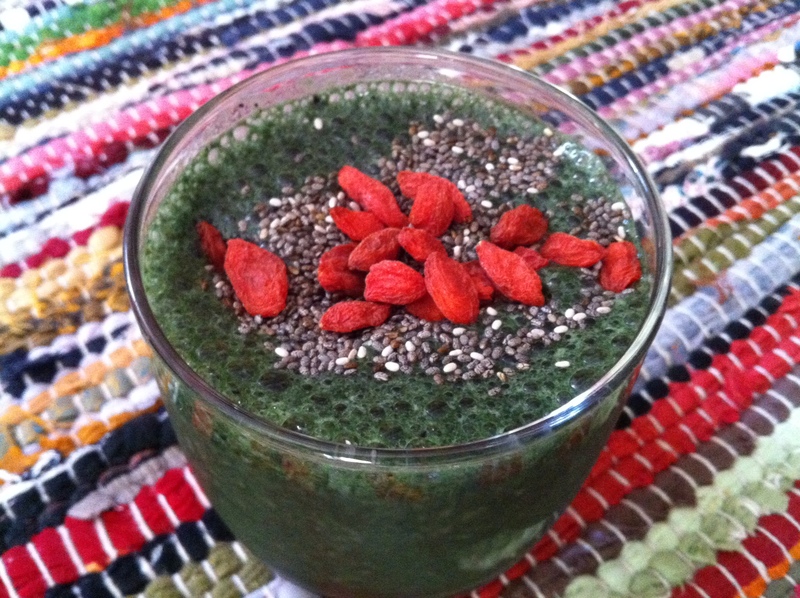 Combine ingredients in a blender and top with chia seeds and goji berries. It’s that simple and not to mention super healthy! This goes to show that ice cream, sugary yogurts and milk are not essential ingredients for a delicious, refreshing smoothie. This entry was posted in Recipes by ashleighjensen2. Bookmark the permalink.